WCC is growing and we are looking for motivated, positive individuals to join our team! Experience is preferred. 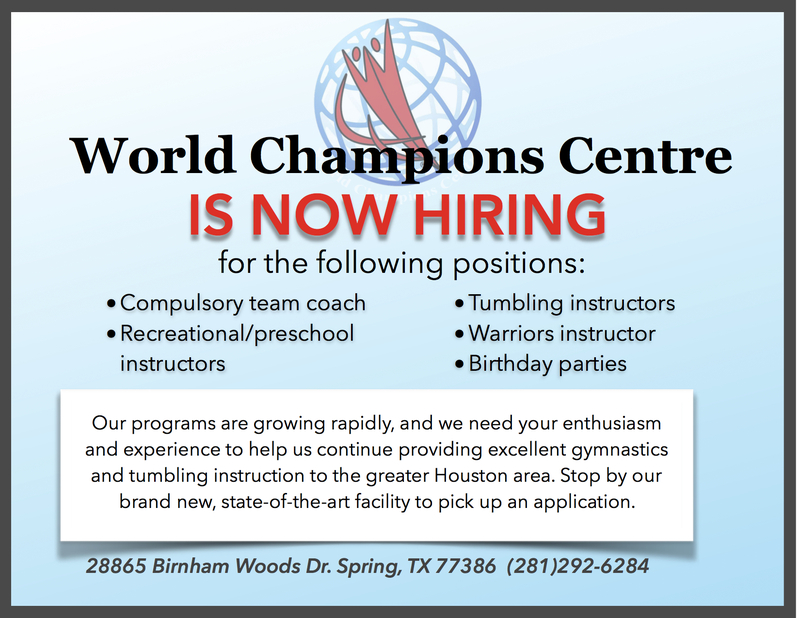 Feel free to fill out an application and send it to us at info@wccgym.com.